1974: Horst Feistel received a patent for "Block Cipher Cryptographic System." 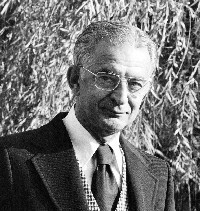 Horst Feistel was a German-born cryptographer. He worked on the design of ciphers at IBM and received awards for his cryptographic work. His research at IBM led to the development of the Lucifer and Data Encryption Standard (DES) ciphers. Feistel was one of the earliest non-government researchers to study the design and theory of block ciphers. on 19 March 1974, he received a patent for "Block Cipher Cryptographic System," an encryption scheme that laid the foundation for the Data Encryption Standard (DES). Photo and excerpt via Wikipedia.